Netflix Instant Watch is one of the greatest things ever to exist...ever. This is a series looking at some movies that are available through this fine service right now. First off, sorry for the light posting as of late - I've been relatively jobless for a month and a half, which was a boon for creativity and thought. And then you get to a week like this, where I actually have temporary work, and on one hand, hurray for money, but on the other, no real time to write. So yeah...I'll either be unemployed again quite soon or find a way to work this stuff into my schedule more. Either way, more substantial writing. The summer Broken Flowers came out, I saw it myself, and was so excited and overwhelmed by the movie that I took two different groups of people to see it. This was a major lesson in the school of "not everyone likes the same stuff you do." I heard again and again that the movie was lifeless, emotionless, boring, slow, etc. Boring and slow I can see, but lifeless? Emotionless? My God, did we even watch the same movie? 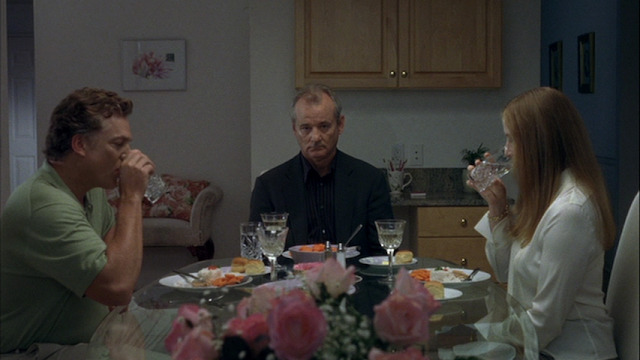 I have rarely felt such a deep sense of regret, longing, and melancholy as I did in Broken Flowers. Or, more simply, such deep sadness. It's mostly packed away at the end, but the film is infused with this feeling as an undercurrent, so that, mixed with the humor, by the time it reaches its breaking point and all the emotion comes pouring out (albeit in a restrained, very real sort of way), it's both completely unexpected and totally earned. 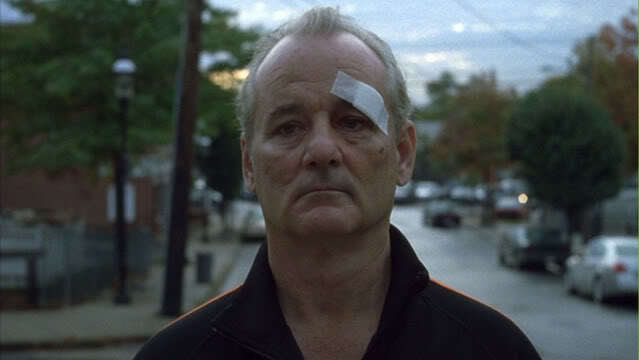 I've come to believe this may be Bill Murray's best performance. The way he adjusts his attitude when dealing with women as opposed to men tells you everything about how he ended up where he is at the start of the film, and even the way his behavior changes from woman to woman is so subtle, but so...complete. Murray tosses off complaints about the trip, but can't stop going on it, to the point that, by the end, he's running towards even the vague possibility of resolution - quiet desperation is tough to do this convincingly. I really was surprised, watching this again for the first time in nearly five years, how much I loved this film. A lot certainly depends on how much interest you take in the character, but if you latch onto him, there's a lot to love here. It's a nice movie. Bill Murray was perfect for that role. After Jack Nicholson, he's probably the most expressive actor in roles in which he says nothing. The making is flawless, and the few amusing moments are well chosen. The very slow pace might on the other hand discourage many viewers. All in all, it's a fil about disillusionment, choices made, with no explanations, simply meditative.